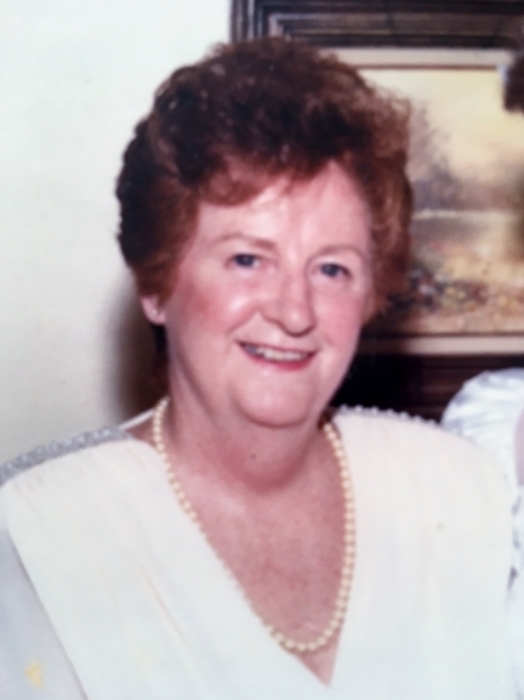 Obituary for Eleanor R. (White) Joyce | Frank F. DeBor Funeral Home, Inc.
Of Brookline, on Thursday, March 28, 2019. Wife of the late Robert E. "Switch" Joyce; beloved mother of Mary Kay (Raymond) Schiller; sister of Mary Kay Duffy, Carol Ann Spirnak, and the late John "Jackie" White; loving grandmother of Meghan (Carl) and Colleen (Ben). Family and friends will be received at the Frank F. DeBor Funeral Home on Tuesday, April 2, from 2 to 4 p.m. and 6 to 8 p.m. A Mass of Christian Burial will be celebrated on Wednesday, April 3, at 10 a.m., in the Church of the Resurrection (Brookline). "Red" loved all things Irish, and was devoted to spending time with her many dear friends and family.